Large current, safe and durable.Use in audio equipment for the quiet background, you can improve control force, increase the speed,and upgrade the audio equipment immediately. 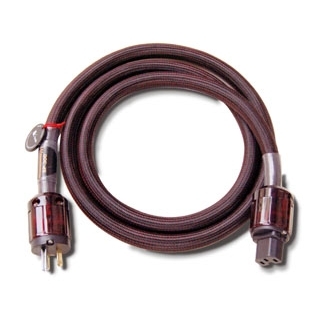 SP-300 power cord, use Bada is highest grade of five-star OCC wire,has patent technology of five-star-shaped cross-section, high-purity single crystal oxygen-free copper conductor. In the case of the same consumption of copper, its surface area increases, thus reducing the skin effect of high-frequency,improve transmission capacity of high-frequency signals. Reduce the collision loss and distortion at the time of signal transmission, audio signal is unobstructed. will also reduce interference generated by the signal fluctuations,treble is fine, clear.Wire use high-purity single crystaloxygen-free copper, each wire is composed by a grain of crystal, the internal has no crystal interface, reducing the collision loss and distortion at the time of signal transmission, smooth audio signal. will also reduce interference generated by the signal fluctuations,the sound quality is very nice.The wire use aluminium foil plus conductor shield together with the damping layer, is designed to offset electromagnetic shock between the wires and to eliminate interference from outside noise,use high-quality and fiber net to protect and decorate the apprearance. The plug adopts Usstyle standard plug, large current, safe and durable.Use in audio equipment for the quiet background, you can improve control force, increase the speed,and upgrade the audio equipment immediately.